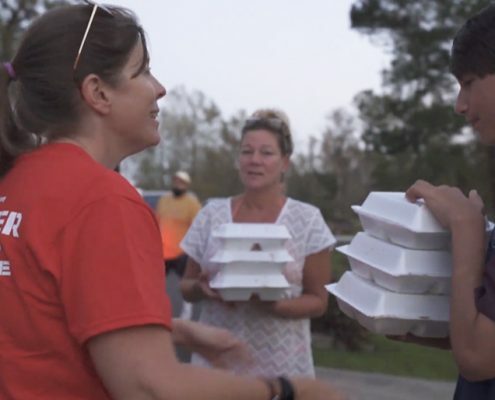 Operation BBQ Relief provides meals to displaced residents and emergency personnel during times of natural and other disasters. 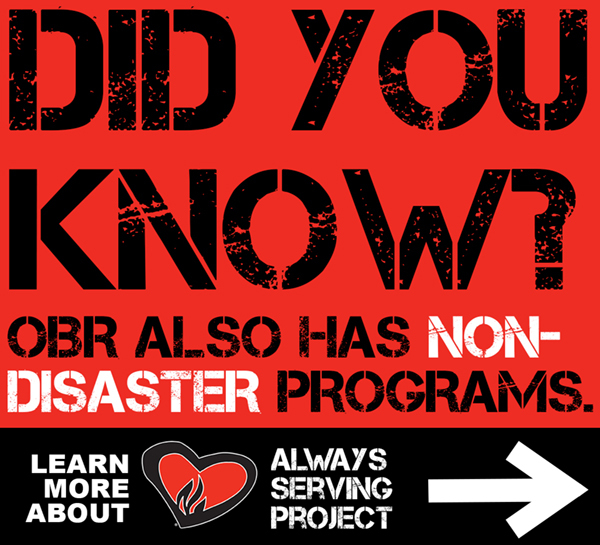 Learn more about OBR. 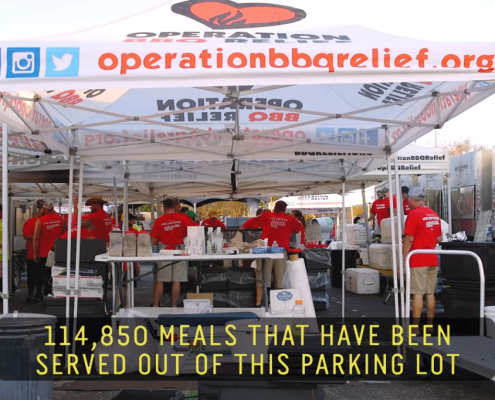 Operation BBQ Relief is possible because of our wonderful volunteers. Click here to learn more about becoming a volunteer and see how you can make a difference. 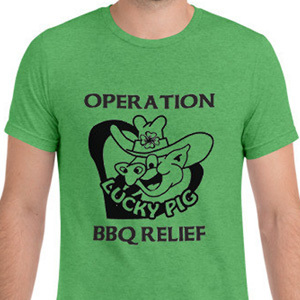 Operation BBQ Relief is a 501.c.3 Disaster Relief Organization. Make a one time donation or commit to a monthly recurring donation of any amount of your choosing. Make a donation now. 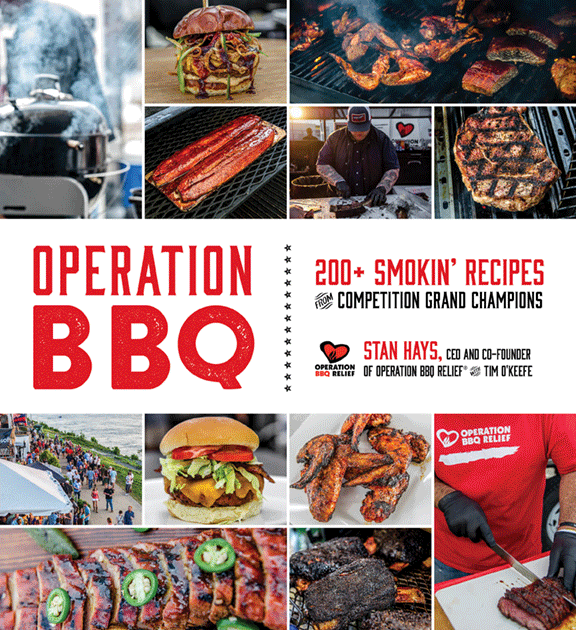 After great effort and collaboration among our winning Grand Champion volunteers, the Operation BBQ Relief Cookbook has become a reality. Pre-order your copy today! This book is not shy on personality or pitmasters, and is full of amazing recipes for your next barbeque! Pre-Order Now from these sellers! There are many ways to volunteer for Operation BBQ Relief. We need volunteers throughout the year in many different areas, including Deployments, Warehouse, Fundraising, Marketing, Management, Clerical, and more. Our largest group of volunteers, Deployment Volunteers are on site when Operation BBQ Relief is responding to an event. Warehouse volunteers help at our warehouse, managing and organizing inventory and supplies. State leads coordinate volunteers within their state for OBR Deployments. 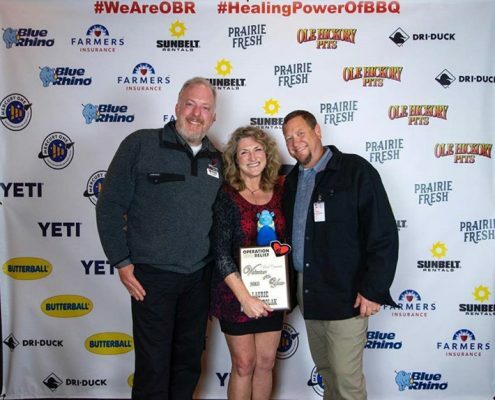 There are other ways to volunteer for OBR, including Fundraising, Marketing, helping at OBR events and more.